A west coast, community project to collect rain water & test for radioactive nuclides. A grassroots project collecting rain water on the Mendocino coast. Commencing on 3/19/11, we are in process now as we collect samples of rain water for radioactive nuclides analysis & testing during the course of the Fukushima nuclear disaster. With 5-10 collection sites on the Mendocino coast, we are pleased to be working with UC Berkeley in analyzing the collection data. Ironically, they are sampling rain water, offering a clever and inexpensive method utilizing coffee filters. The process to collect rain water and participate is straight-forward yet we encourage collection participants to be able to follow directions, ensuring our collection data is accurate and meaningful. 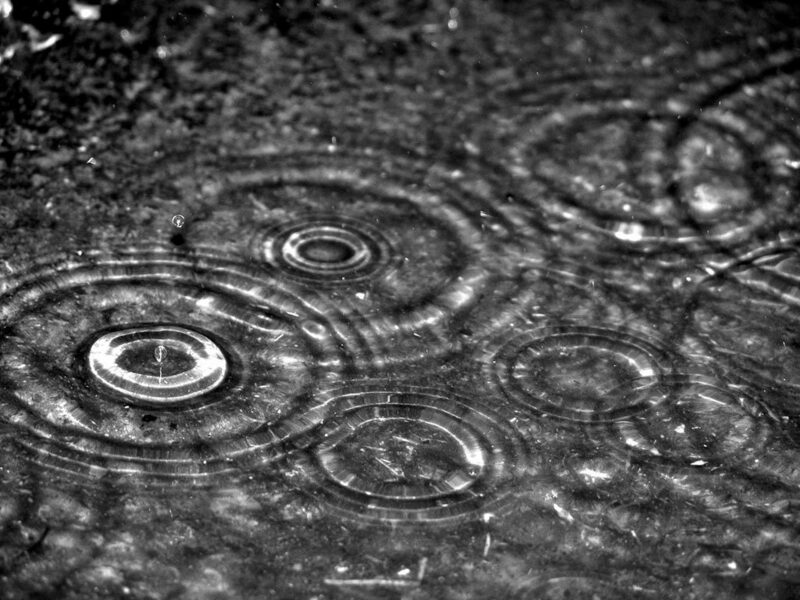 Our Mission at onset ~ To conduct a meaningful and accurate collection of rain water that enables Mendocino county residents to become better informed about our environment. The view to the west from Ocean Beach could one day be cluttered with scores of spinning windmills, generating power. San Francisco under Mayor Gavin Newsom has long explored the possibility of tapping alternative energy sources, including tidal, wave, solar, geothermal and wind power. San Francisco is reviewing the environmental impacts of a planned project that would place underwater devices off Ocean Beach to harness wave power, which is a nascent form of renewable energy. The review and its approvals are expected to wrap up within a year. City leaders are starting to think that construction of the wave power project could help them assess the viability of a more visually striking proposal: a wind farm. 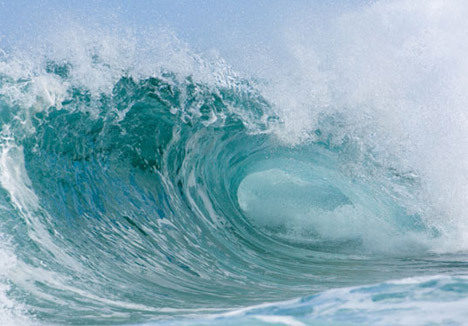 Ocean Beach was found by UC Berkeley professor Ronald Yeung to have good potential for a powerful wave energy farm. Waves that roll into the beach are created by Arctic tempests. The finding was confirmed last year by city contractors, who determined a facility could provide up to 30 megawatts of electricity — enough power for 30,000 homes. Environmental review work under way involves studying sediment movement and tracking whale migration patterns to determine the best places on the sea floor to attach futuristic wave power devices. Recent changes in federal regulations could limit San Francisco to working within three miles of the shoreline because offshore renewable energy projects now require expensive leases instead of less-expensive permits, although the process is clouded by uncertainty. The federal Mineral Management Services agency has responsibility for regulating offshore renewable energy resources, including wave and power farms, but the agency is being overhauled in the wake of the Gulf oil spill disaster. The recent regulatory changes could see offshore energy rights snapped up by deep-pocketed oil or utility companies under anticipated bidding processes. On San Francisco’s clearest days, visitors to Ocean Beach can sometimes see the Farallon Islands, which are 27 miles west of San Francisco — nearly 10 times further out to sea than the three-mile offshore border. After safe and potentially powerful locations have been identified, wave energy technology will be selected from a growing suite of options including devices that float near the surface, those that hover in midwater and undulating seabed equipment inspired by kelp. The next step would involve applying for permits and installing the equipment. Somewhere along the way, costs will be determined and funds will need to be raised by officials or set aside by lawmakers. Once the wave-catching equipment is in place, it could be used to help determine wind velocities and other factors that make the difference between viable and unviable wind farm sites. Partin characterized plans for a wind farm off Ocean Beach as highly speculative but realistic. Wind power facilities are growing in numbers in California and around the world. But wind farms are often opposed by communities because of fears about noise, vibrations, ugliness and strobe-light effects that can be caused when blades spin and reflect rays from the sun. A controversial and heavily opposed 130-turbine project that could produce 468 megawatts of power in Nantucket Sound received federal approvals in May. West Coast facilities, however, are expected to be more expensive and complicated to construct. “The challenge for us on the West Coast is that the water is so much deeper than it is on the East Coast,” Partin said. A low-lying island in the middle of the windswept Bay will be used as a wind-power testing ground. The former Navy base Treasure Island is about to be used in an international project to test cutting-edge wind turbines. It was transferred last week to to San Francisco to be developed by private companies in a $100 million-plus deal. The testing grounds, planned in a southwest pocket of the island, could be visible from the Ferry Building. The first turbines to be tested are known as “vertical axis” turbines, meaning they lack old-fashioned windmill blades, which can be noisy and deadly for birds. The devices to be tested were developed by Lawrence Berkeley National Laboratory in cooperation with Russian companies. Five were manufactured in Russia and delivered to California earlier this year. The wind-technology relationship, which was funded with $2 million in federal funds, grew out of an anti-nuclear-proliferation program started in 1993. “The vertical machines should be good in gusty low-wind conditions, which are those which you expect in an urban environment,” lead LBNL researcher Glen Dahlbacka said recently. The machines were designed to minimize noise and are easily built. “They’re relatively easy to work up in a fiberglass shop,” Dahlbacka said. Eventually, each device could be coupled with solar panels to provide enough power for a modest home, Dahlbacka said. The team is not expected to be the only group to test wind turbines on the island. San Francisco plans to provide space for green-tech and clean-tech companies to test their wind-power devices on the island to help achieve product certification under federal standards adopted in January. The program could help San Francisco attract environmental technology companies. The proposed testing grounds might have to shift around as the island is developed with thousands of homes and other buildings in the coming years. “We need to work with them with regards to where these things go and how they would interact with the development project,” Wilson Meany Sullivan developer Kheay Loke said. Back in spring 1970, just after the shootings at Kent State, the Kent State University (KSU) campus went on lockdown and every KSU student was forced to leave within hours, many for good. Since we formed the Kent State Truth Tribunal (KSTT), I have heard many KSTT participants recollect their experiences driving out west immediately after. I can picture this mass exodus of Kent Staters championing the back-to-land movement of the sixties and early seventies, in search of a safe haven, close to nature. I can relate as the west coast called to me years later. Since so many original participants and witnesses that live on the west coast could not make it back to Kent for the 40th anniversary of the shootings, we are now gearing up for our San Francisco Tribunal on August 7 and 8 from 9-5pm. As the first new media, truth-seeking initiative, the Kent State Truth Tribunal will continue to broadcast live at http://MichaelMoore.com on August 7 & 8 from 9am to 5pm Pacific, each weekend day. Every narrative will be livecast from our studio into your home via Michael Moore’s website, so be sure to watch! We know the 1970 Kent State shootings wounded more than nine protesters – Kent State wounded a generation. Every young man facing the Vietnam draft and every person protesting the war saw themselves ‘shot dead’ in America that day. These wounds have not healed. The true story of the killings of Kent State remains untold, unknown and unrecorded. The truth about Kent State will help to heal this generation’s pain. To enable this, we call for the United States government to acknowledge the ‘wrongs’ of May 4, 1970. We are reclaiming what was lost that day – freedom to protest and to peacefully assemble and our democratic right to question our government and hold it accountable for wrongdoings. Gathering the collective stories of the witnesses of this seminal event in the history of American protest is our call to begin this assembly. We’re focusing our gaze on San Francisco in early August and we continue on our path toward healing at our next tribunal in New York City on October 9 and 10. Mark your calendars to watch the Kent State Truth Tribunal in San Francisco from your home computer at MichaelMoore.com. The truth at Kent State will broadcast live through the testimonials of witnesses and participants of the 1970 Kent State shootings. Attend: August 7 and 8 in San Francisco from 9am to 5pm Pacific. To pre-register: http://TruthTribunal.org/preregister KSTT pre-registration guarantees your space and participation is free. Watch: From 9am to 5pm, Pacific, you’ll see ‘live, streaming Kent State truth’ at http://MichaelMoore.com. The Federal Energy Regulatory Commission (FERC) and the State of California have signed a Memorandum of Understanding (MOU) to coordinate procedures and schedules for review of hydrokinetic energy projects off the California coast. This marks the fourth hydrokinetics MOU that FERC has signed with other states, following agreements signed last year with Washington and Maine, and with Oregon in 2008. Today’s agreement ensures that FERC and California will undertake all permitting and licensing efforts in an environmentally sensitive manner, taking into account economic and cultural concerns. “This agreement with California shows FERC’s continuing commitment to work with the states to ensure American consumers can enjoy the environmental and financial benefits of clean, renewable hydrokinetic energy,” FERC Chairman Jon Wellinghoff said. They will encourage applicants to seek pilot project licenses prior to a full commercial license, to allow for testing of devices before commercial deployment.